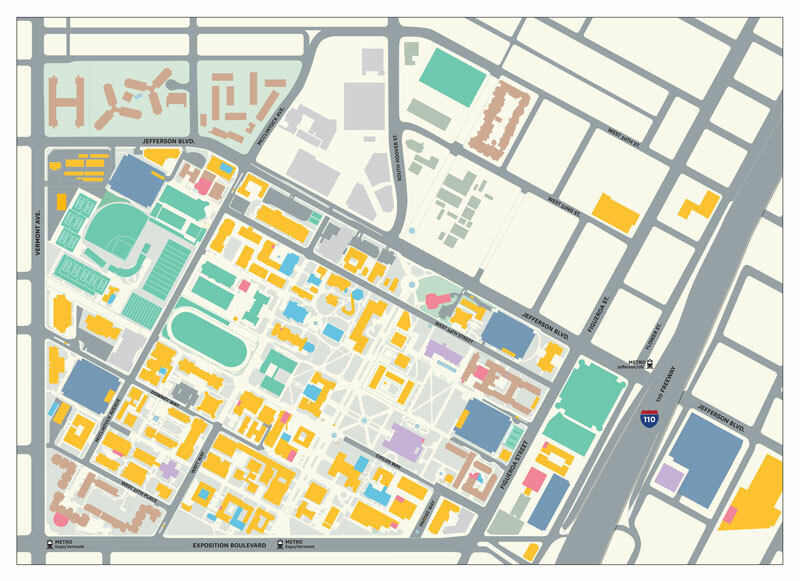 Click on the image to explore our interactive map of campus construction highlights. 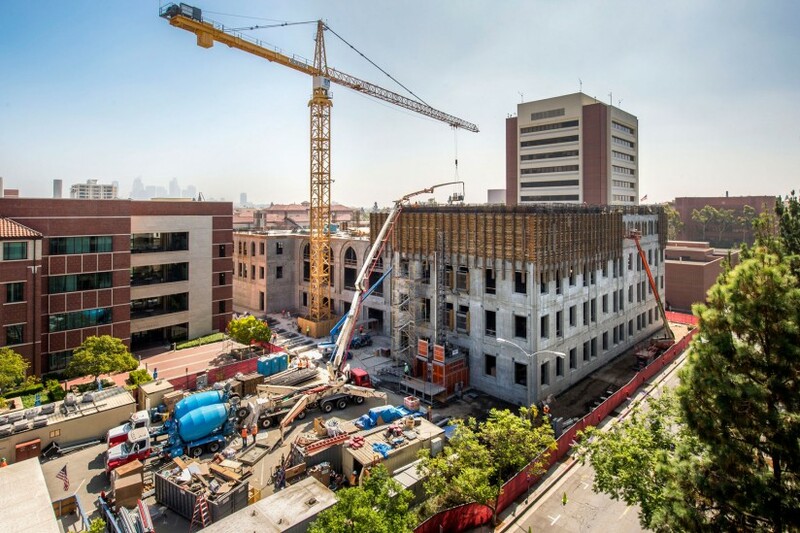 Whether you’ve noticed the scaffolding around campus or the fast-growing construction at USC Village – there’s a lot of hammering happening at University Park. This summer, there are more than 150 projects underway — from renovations to brand-new buildings, built from the ground up. Here’s an update on some of the key projects. The largest development in South L.A.’s history, USC Village is on track to open in August 2017. It’ll be the first new housing on campus in more than a decade, accommodating 2,700 undergraduates with apartment-style housing for sophomores, juniors and seniors and dorms for freshmen honors students. The dining hall is modeled after Harry Potter’s Hogwarts. In addition to housing, the $700 million project will have a large retail component including a smaller-format Target store, a Trader Joe’s market, Starbucks and Bank of America. Only about one-third of the retail space is leased, leaving about 25 spaces yet to be taken. Negotiations are ongoing for a juice/smoothie shop, a bike retailer and a couple of restaurants. 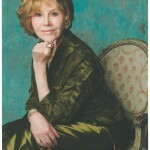 There will be landscaped courtyards open to everyone, with a large live oak tree and a fountain. Students will also have interior courtyards in their buildings. USC Village will also have a fitness center for students, a community room the public can use and a mobility hub to help people navigate transit. It’ll have around-the-clock security, just like campus, but retail that opens onto the street can operate past the 9 p.m. closing time. There’s also a subterranean structure with 466 parking spaces for shoppers. The exteriors will be done any day now and the interiors should be wrapped up by March. The 54,265 square-foot center, opening for classes in August, will house the first new school on campus in four decades and be the home of USC’s first group of dance majors, which started last year. Its sweeping spiral staircase is probably its signature architectural element. There will be studios equipped with floors designed for ballet to flamenco to hip-hop, along with state-of-the-art audiovisual equipment and retractable seating for up to 140 people. An online video previews the project. The new addition to the Marshall School of Business, also opening for classes in August, will offer undergraduates 20 new classrooms and 50 “breakout rooms” intended for students to study together with access to computers or webcams. 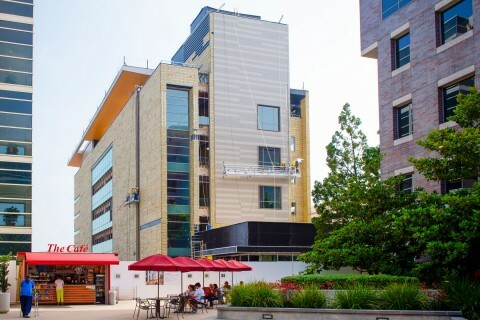 With more than 100,000 square feet spanning five stories, the building was engineered for students of the 21st century with an emphasis on technology and collaboration, such as the ability to live-stream classes or web conference with guest speakers. The fifth floor will be the new home of the Lloyd Greif Center for Entrepreneurial Studies, which will have a balcony with views of downtown L.A. There will be dining options for students, too, with a food court highlighting Asian cuisine and including a sushi bar. The building is LEED Gold certified, meaning it meets the strong environmental and energy efficiency standards of the Leadership in Energy and Environmental Design program. The building was made possible thanks to a naming gift from Jill and Frank Fertitta ’84. 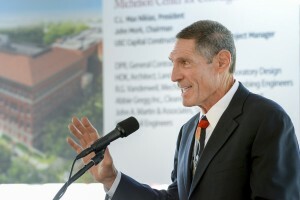 The 190,000 square-foot center, which will be the largest building on campus when it’s done in September 2017, is the result of a $50 million gift from Gary K. Michelson and his wife, Alya Michelson. The research facility aims to be a hub of medical advancement — bringing faculty together across disciplines, such as engineers, chemists and biologists to study the human body. It’ll house about 30 investigators collaborating in shared labs. The campus pedestrian entrance at Trousdale Parkway and Jefferson Boulevard will get major improvements, more than doubling in size to accommodate the many students who will be living at USC Village. Students can look to Hahn Plaza by the Bovard Administration Building for an idea of what’s to come — the new entrance will have USC’s signature brick-and-paver hardscaping. It’s planned to be done by February. The university is doing $10 million worth of improvements to the thoroughfare, spanning from Royal Street in front of the Shrine Auditorium to Orchard Avenue near Fluor Tower, per an agreement with the city. The changes will include widening sidewalks by seven feet to accommodate more pedestrians and removal of street parking. There will also be new landscaping and lightposts matching the rest of campus. A new traffic signal at Watt Way — a key entrance to USC Village — plans to calm traffic. The work will be done by July 2017. Incoming freshmen are going to get some spiffier housing. Marks Tower and Pardee Tower both got brand-new furniture and Fluor Tower has all new bathrooms — everything from the tile to fixtures and tubs. Upperclassmen apartments got some sprucing up, too, including all-new kitchens and bathrooms in the Parkside Apartments. Projects include research, patient and housing facilities as well as improved sidewalks and landscaping.